Apollinary Mikhaylovich Vasnetsov (Russian: Аполлина́рий Миха́йлович Васнецо́в; (August 6, 1856 in the village of Riabovo, Vyatka Governorate – January 23, 1933 in Moscow) was a Russian painter and graphic artist whose elder brother was the more famous Viktor Vasnetsov. 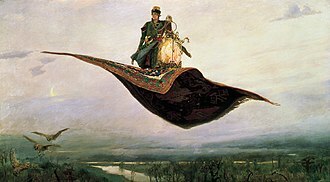 He specialized in scenes from the medieval history of Moscow. Vasnetsov did not receive a formal artistic education. He studied under his older brother, Viktor Vasnetsov, the famous Russian painter. From 1883, he and his brother lived and worked in Abramtsevo where he fell under the influence of Vasily Polenov. In 1898–1899, he travelled across Europe. In addition to epic landscapes of Russian nature, Apollinary Vasnetsov created his own genre of historical landscape reconstruction on the basis of historical and archaeological data. 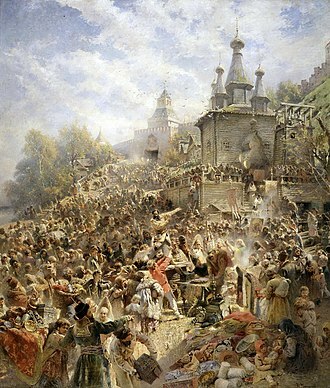 His paintings present a visual picture of medieval Moscow. He was a member of the Association of Travelling Art Exhibitions (Peredvizhniki) from 1899, and an academician from 1900. He became one of the founders and supervisors of the Union of Russian Artists. 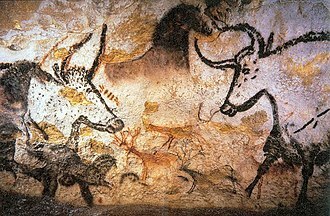 The future painter had three elder and two younger brothers. Their only sister died at the age of four months. Their father played an important role in the upbringing and education of his sons. He taught them to love nature and to become familiar with the life of birds and animals. The death of his father in 1870 was a terrible blow for Vasnetsov. In 1890, he made a journey across Europe, visiting France and Italy, where he studied the works of famous masters. At the beginning of 1920, the Committee of Archaeology (the predecessor of the Community for the Saving of Art Monuments) invited Apollinary Vasnetsov and some other painters (including Vikentii Trofimov) to draw the old places of Voronezh. A minor planet, 3586 Vasnetsov, discovered by Soviet astronomer Lyudmila Zhuravlyova in 1978, is named after Viktor Vasnetsov and Apollinary Vasnetsov. ^ "Apollinary Mikhaylovich Vasnetsov | Russian artist". Encyclopedia Britannica. Retrieved 2018-08-18. ^ Schmadel, Lutz D. (2003). Dictionary of Minor Planet Names (5th ed.). New York: Springer Verlag. p. 301. ISBN 3-540-00238-3. 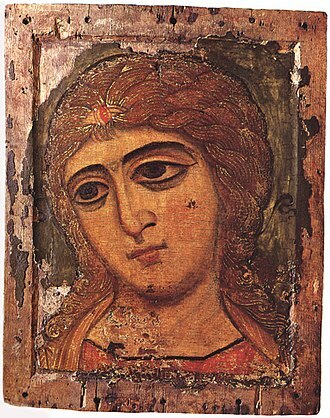 Apollinary Vasnetsov by Vasnetsova, Yekaterina & Schmidt, Igor (eds. ), Izobrazitelnoye Iskusstvo, Moscow, 1980, (Russian/English), Book ID V 1121 31. 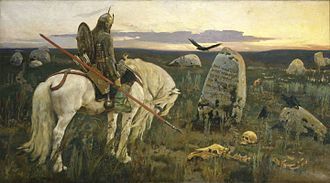 Wikimedia Commons has media related to Apollinary Vasnetsov. A sketch is a rapidly executed freehand drawing that is not usually intended as a finished work. Sketches can be made in any drawing medium, the term is most often applied to graphic work executed in a dry medium such as silverpoint, pencil, charcoal or pastel. 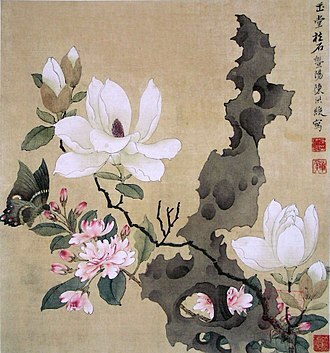 But it may apply to drawings executed in pen and ink, ballpoint pen, water colour. 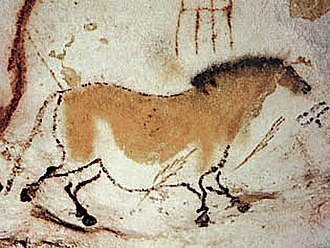 The latter two are referred to as water colour sketches and oil sketches. A sculptor might model three-dimensional sketches in clay, plasticine or wax, sketching is generally a prescribed part of the studies of art students. This generally includes making sketches from a model whose pose changes every few minutes. Underdrawing is drawing underneath the work, which may sometimes still be visible. Most visual artists use, to a greater or lesser degree, the term sketchbook refers to a book of blank paper on which an artist can, drawn sketches. 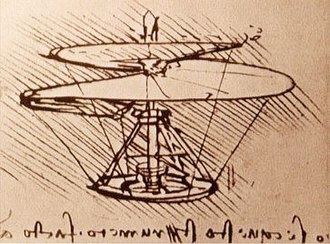 The book might be purchased bound or might comprise loose leaves of sketches assembled or bound together, the ability to quickly record impressions through sketching has found varied purposes in todays culture. Tbilisi, commonly known by its former name Tiflis, is the capital and the largest city of Georgia, lying on the banks of the Kura River with a population of roughly 1.5 million inhabitants. Founded in the 5th century by the monarch of Georgias ancient precursor the Kingdom of Iberia, Tbilisi has since served, with intermissions, as the capital of various Georgian kingdoms and republics. Under Russian rule, from 1801 to 1917 Tiflis was the seat of the Imperial Viceroy governing both sides of the entire Caucasus. Tbilisis varied history is reflected in its architecture, which is a mix of medieval, Middle Eastern, Art Nouveau, Tbilisi has been home to people of diverse cultural and religious backgrounds, though it is overwhelmingly Eastern Orthodox Christian. Archaeological studies of the region have indicated human settlement in the territory of Tbilisi as early as the 4th millennium BC, according to an old legend, the present-day territory of Tbilisi was covered by forests as late as 458. One widely accepted variant of the legend of Tbilisis founding states that King Vakhtang I Gorgasali of Georgia went hunting in the wooded region with a falcon. 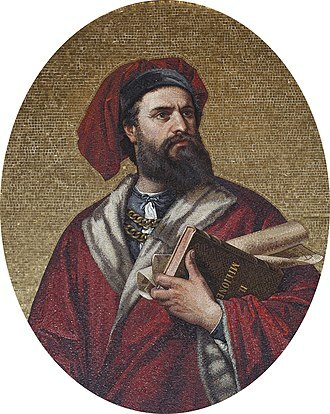 The Kings falcon allegedly caught or injured a pheasant during the hunt, King Vakhtang became so impressed with the hot springs that he decided to cut down the forest and build a city on the location. The name Tbilisi derives from Old Georgian Tbilisi, and further from Tpili, the name Tbili or Tbilisi was therefore given to the city because of the areas numerous sulphuric hot springs that came out of the ground. King Dachi I Ujarmeli, who was the successor of Vakhtang I Gorgasali, Tbilisi was not the capital of a unified Georgian state at that time and did not include the territory of Colchis. It was, the city of Eastern Georgia/Iberia. During his reign, King Dachi I oversaw the construction of the wall that lined the citys new boundaries. From the 6th century, Tbilisi grew at a steady pace due to the favourable and strategic location which placed the city along important trade. Tbilisis favourable and strategic location did not necessarily bode well for its existence as Eastern Georgias/Iberias capital, in the year 627, Tbilisi was sacked by the Byzantine/Khazar armies and later, in 736–738, Arab armies entered the town under Marwan II Ibn-Muhammad. The Oprichnik or The Guardsman is an opera in 4 acts,5 scenes, by Pyotr Ilyich Tchaikovsky to his own libretto after the tragedy The Oprichniks by Ivan Lazhechnikov. The subject of the opera is the oprichniks and it is set in Ivan the Terribles court during the oprichnina times. 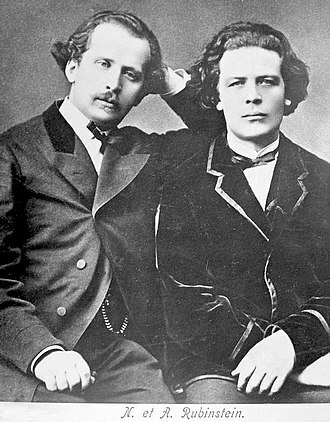 Tchaikovsky worked on the opera from February 1870 - March 1872 and it includes music from his early opera The Voyevoda. The work is dedicated to the Grand Duke Konstantin Nikolayevich Romanov and it was given its premiere performance at the Mariinsky Theatre in St Petersburg on 24 April 1874, followed by the Moscow premiere on 16 May 1874 at the Bolshoi Theatre. No.1 — Scena No.2 — Chorus of Maidens No, 2a – Natalyas Song No.3 — Scena & Chorus No.4 — Scena & Chorus No.5 — Recitatives No. 5a – Basmanovs Arioso No.6 — Natalyas Arioso No, 6a – Chorus of Maidens Entracte No.7 — Scena & Morozovas Aria No.8 — Scena & Duet No.9 — Prelude, Scena & Finale No. 9a – Prince Vyazminskys Aria No, reissued Pristine Classics 1980, Milichkina, Matorin, Kotov, Klyonov. Mount Elbrus is the highest mountain in Russia and in Europe, and the tenth most prominent peak in the world. 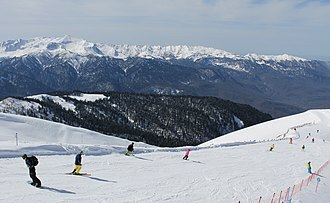 A dormant volcano, Elbrus forms part of the Caucasus Mountains in Southern Russia, Elbrus has two summits, both of which are dormant volcanic domes. With its slightly taller west summit, the stands at 5,642 metres. 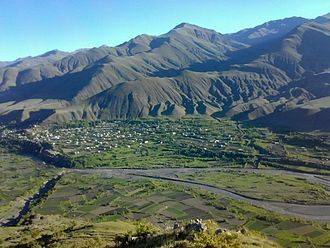 Crauford Grove and including Frederick Gardner, Horace Walker, and the Swiss guide Peter Knubel of St. Niklaus, the name Elbrus /ˈɛlbrəs/ is a metathesis of Alborz, which is the name of a long mountain range in northern Iran. It is derived from Avestan Harā Bərəzaitī, which is a mountain in Iranian mythology. Harā Bərəzaitī reflects Proto-Iranian *Harā Bṛzatī, which was reformed into Middle Persian as Harborz, Bṛzatī is the feminine form of the adjective *bṛzant, the reconstructed ancestor of Modern Persian barz, berāzande, and boland, and Modern Kurdish barz. Harā may be interpreted as watch or guard, from Indo-European *ser, Elbrus stands 20 km north of the main range of the Greater Caucasus and 65 km south-southwest of the Russian town of Kislovodsk. Its permanent icecap feeds 22 glaciers, which in turn give rise to the Baksan, Elbrus sits on a moving tectonic area, and has been linked to a fault. A supply of magma lies deep beneath the dormant volcano, Mount Elbrus was formed more than 2.5 million years ago. The volcano is considered inactive. Elbrus was active in the Holocene, and according to the Global Volcanism Program, evidence of recent volcanism includes several lava flows on the mountain, which look fresh, and roughly 260 square kilometres of volcanic debris. The longest flow extends 24 kilometres down the northeast summit, indicative of a large eruption, there are other signs of activity on the volcano, including solfataric activity and hot springs. The western summit has a volcanic crater about 250 metres in diameter. Myth held that here Zeus had chained Prometheus, the Titan who had stolen fire from the gods, crauford Grove and including Frederick Gardner, Horace Walker, and the Swiss guide Peter Knubel of St. Niklaus in the canton Valais. Orenburg is the administrative center of Orenburg Oblast, lies on the River Ural,1,478 kilometers southeast of Moscow. Its geographical location is in the boundary of Europe and Asia, Orenburg is very close to the border with Kazakhstan. 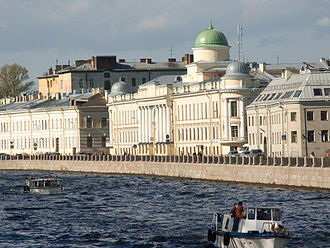 The city is in the basin of the current of the River Ural. The highest point of the city is 154.4 meters, several historians have tried to explain the origins of the citys name. It was traditionally accepted that the word means a fortress on the River Or. In all probability, the word combination orenburg was proposed by I. K, who was the founder of the city. In 1734, in accordance with his project, a package of documents was worked out. This was the point for Orenburg as a fortress city near the place where the Or. On 7 June 1734, A Privilege for Orenburg was ordered by Empress Anna Ivanovna, while a construction site of the main fortress changed many times, the very name Orenburg has not changed since its founding in 1743. 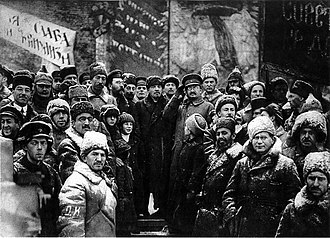 Between 1938 and 1957, the city was referred to as Chkalov, named after the famous Soviet pilot Valery Chkalov, although he was not born in and never lived in Orenburg, and never visited Orenburg. In 1954, Chkalovs 5-meter bronze sculpture was erected on the occasion of his 50th birth anniversary, Orenburg is unofficially called the Asian capital of Russia. In 1734, the Russian Empire began expanding its control and influence in Asia starting from the construction of the city called Orenburg on its eastern border. For this purpose, a settlement was founded here in 1735 - at the place where the Or, the initial site was chosen for settlement during the expedition of I. K. Kirilov, who initiated developmental activities in the region and he argued that the city was necessary. for opening up transit routes to Bukhara, Bulk, and to India, making it possible to receive wealth from there — gold, lapis lazuli, and garnet. After his death, a new administrator of the Orenburg expedition and he did not considered this place to be convenient for construction of the city, because it was constantly flooded by the spring high waters. This encouraged to launch in 1739 preparations for building a new town with the old name downstream the river Ural on the mountain Krasnaya, the old settlement was named the Orsk fortress. Moscow is the capital and most populous city of Russia, with 13.2 million residents within the city limits and 17.8 million within the urban area. Moscow has the status of a Russian federal city, Moscow is a major political, economic and scientific center of Russia and Eastern Europe, as well as the largest city entirely on the European continent. 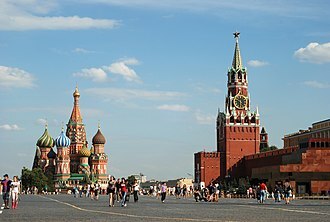 Moscow is the northernmost and coldest megacity and metropolis on Earth and it is home to the Ostankino Tower, the tallest free standing structure in Europe, the Federation Tower, the tallest skyscraper in Europe, and the Moscow International Business Center. Moscow is situated on the Moskva River in the Central Federal District of European Russia, the city is well known for its architecture, particularly its historic buildings such as Saint Basils Cathedral with its brightly colored domes. 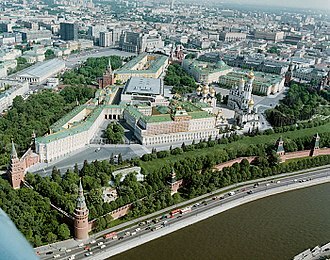 Moscow is the seat of power of the Government of Russia, being the site of the Moscow Kremlin, the Moscow Kremlin and Red Square are one of several World Heritage Sites in the city. Both chambers of the Russian parliament sit in the city and it is recognized as one of the citys landmarks due to the rich architecture of its 200 stations. 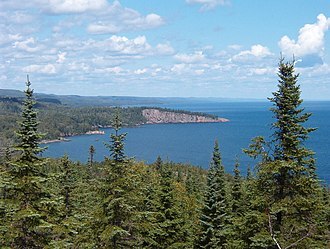 In old Russian the word meant a church administrative district. The demonym for a Moscow resident is москвич for male or москвичка for female, the name of the city is thought to be derived from the name of the Moskva River. 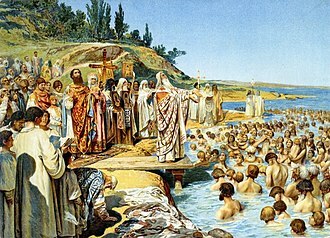 There have been proposed several theories of the origin of the name of the river and its cognates include Russian, музга, muzga pool, Lithuanian and Latvian, mazgāt to wash, majjati to drown, mergō to dip, immerse. There exist as well similar place names in Poland like Mozgawa, the original Old Russian form of the name is reconstructed as *Москы, *Mosky, hence it was one of a few Slavic ū-stem nouns. From the latter forms came the modern Russian name Москва, Moskva, in a similar manner the Latin name Moscovia has been formed, it became a colloquial name for Russia used in Western Europe in the 16th–17th centuries. From it as well came English Muscovy, various other theories, having little or no scientific ground, are now largely rejected by contemporary linguists. It is situated on the M10 federal highway connecting Moscow and St. Petersburg. The city lies along the Volkhov River just downstream from its outflow from Lake Ilmen, UNESCO recognized Novgorod as a World Heritage Site in 1992. At its peak during the 14th century, the city was the capital of the Novgorod Republic, the Charter of Veliky Novgorod recognizes 859 as the year when the city was first mentioned. Archaeological dating is fairly easy and accurate to within 15–25 years, as the streets were paved with wood, and most of the houses made of wood, allowing tree ring dating. The Varangian name of the city Holmgård/Holmgard is mentioned in Norse Sagas as existing at a yet earlier stage, Holmgård referred only to the stronghold southeast of the present-day city, Rurikovo Gorodische. 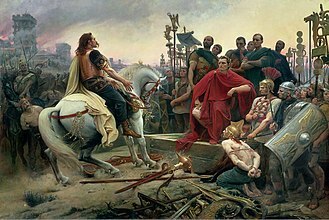 First mention of this Nordic or Germanic etymology to the name of the city of Novgorod occurs in the 10th-century policy manual De Administrando Imperio by Byzantine emperor Constantine VII, in 882, Ruriks successor, Oleg of Novgorod, conquered Kiev and founded the state of Kievan Rus. Novgorods size as well as its political and cultural influence made it the second most important city in Kievan Rus, according to a custom, the elder son and heir of the ruling Kievan monarch was sent to rule Novgorod even as a minor. 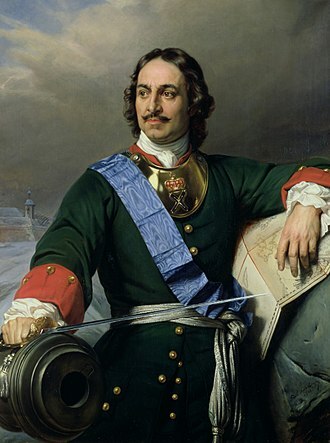 When the ruling monarch had no son, Novgorod was governed by posadniks, such as the legendary Gostomysl, Konstantin. 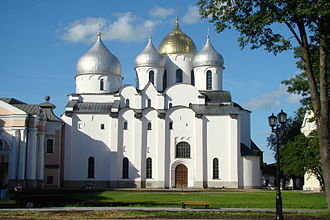 Of all their princes, Novgorodians most cherished the memory of Yaroslav the Wise and his son, sponsored construction of the great St. Sophia Cathedral, more accurately translated as the Cathedral of Holy Wisdom, which stands to this day. In Norse sagas the city is mentioned as the capital of Gardariki, four Viking kings—Olaf I of Norway, Olaf II of Norway, Magnus I of Norway, and Harald Hardrada—sought refuge in Novgorod from enemies at home. No more than a few decades after the 1030 death and subsequent canonization of Olaf II of Norway, the town of Visby in Gotland functioned as the leading trading center in the Baltic before the Hansa League. 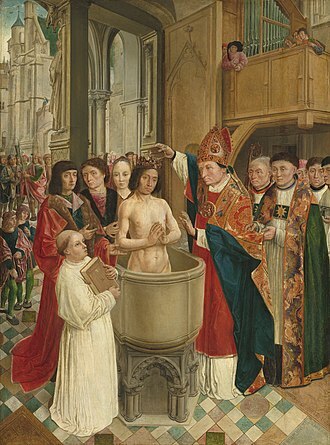 The Inauguration of the Academy of Arts, a painting by Valery Jacobi. 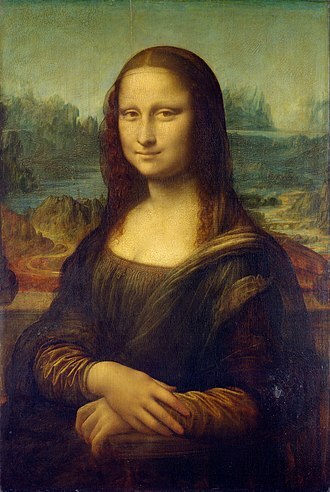 The Mona Lisa, by Leonardo da Vinci, is one of the most recognizable paintings in the world. 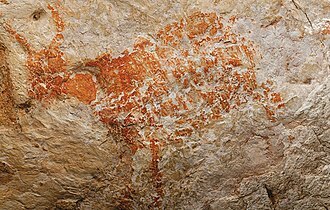 The oldest known figurative painting is a depiction of a bull discovered in the Lubang Jeriji Saléh cave, painted 40,000 years ago or earlier. 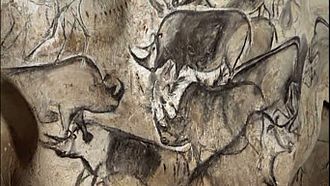 An artistic depiction of a group of Rhinos, was completed in the Chauvet Cave 30,000 to 32,000 years ago. 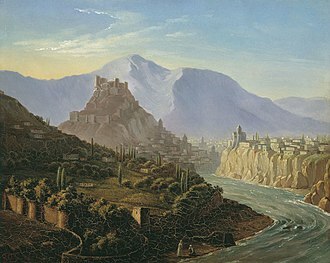 Tiflis by Mikhail Lermontov, 1837. 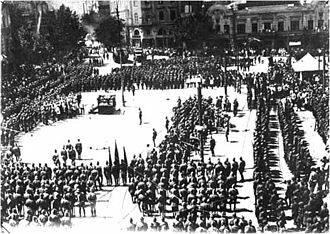 The Red Army entered Tbilisi on 25 February 1921. The school's building at 11, Rozhdestvenka Street (present-day Moscow Architectural Institute) in 2009. Tiled artwork on the building. The pass in Luigi Villari's book Fire and Sword in the Caucasus (1906). Looking north along the gorge (8km south of the Russian checkpoint in North Ossetia–Alania).